Last week I created a recycled sketchbook out of package paper and an old cardboard 24-pack. I started doodling on the first page, and created what you see below. The best thing about doodles is that they can transform into anything. 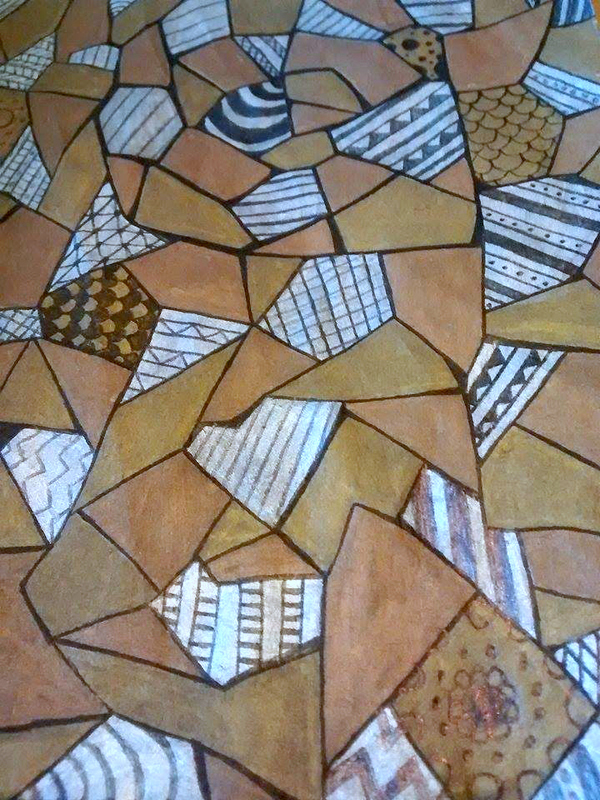 I originally was just using metallic sharpies and drawing geometric shapes. A little bit later I came back to it and used a black pen to connect the shapes and began drawing on the shapes. This doodle ended up turning into something completely different then what I was imagining. This has been a great stress reliever for me though. Sure it didn’t end up like I thought it would, but I was able to let my mind drift while creating it. It was what I assume meditating does for the mind. I have not tried meditation, though I’ve heard it is great stress reliever!